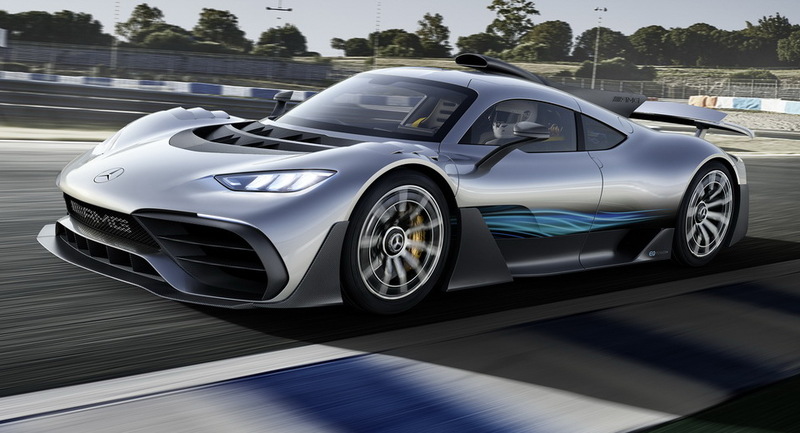 The Mercedes-AMG Project One is Finally Here! And it all came to this. 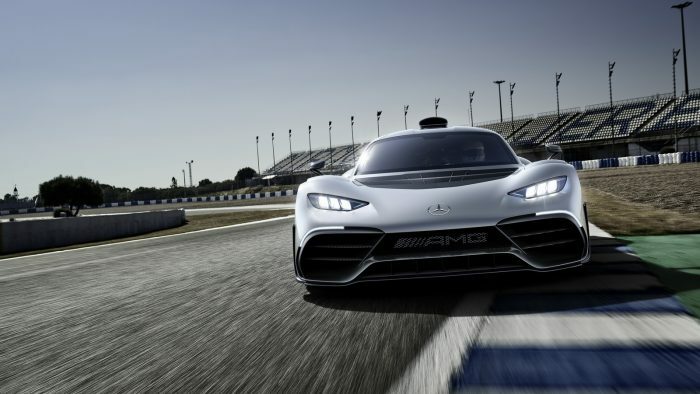 After months of teasing and speculations, Mercedes-AMG has officially unveiled the world’s first road legal car equipped with a Formula 1 powertrain, the 1,000 hp Project One. The 1,000 hp power output comes from an improved version of the hybrid system found inside the W08 F1 car which also includes a turbocharged 1.6-liter V6 engine and four electric motors. 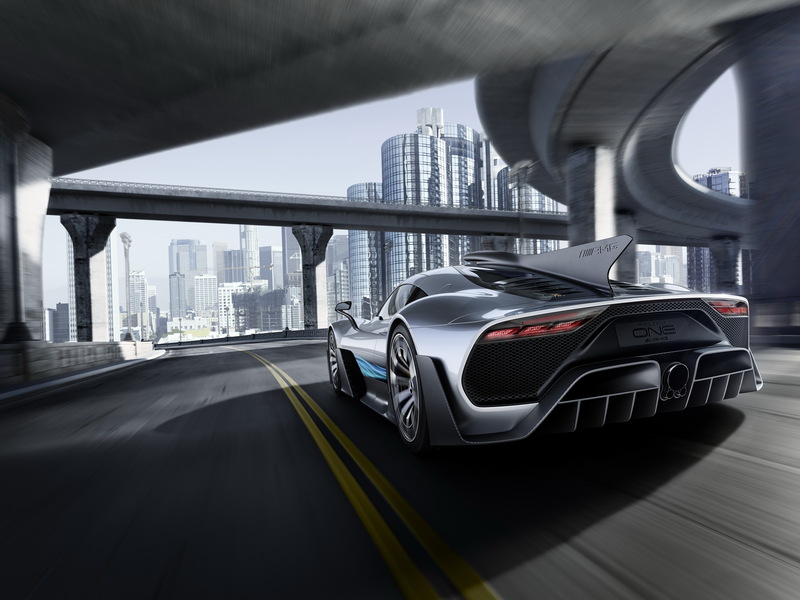 The two front electric motors of the Project One are of the latest technology, with each of being capable of revving up to 50,000 rpm, when the best motors we currently have right now can only rev up to 20,000 rpm. 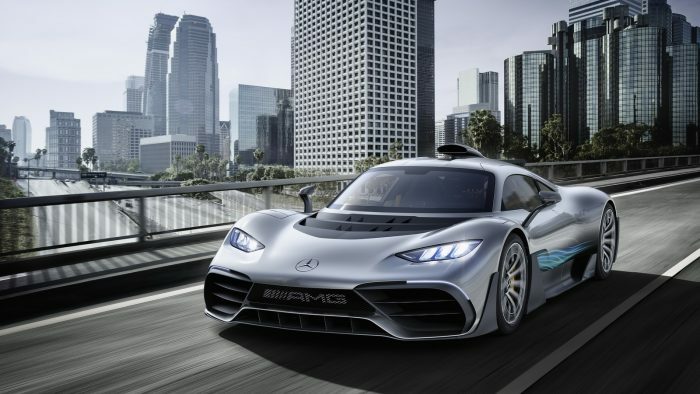 The third electric motor is integrated into the turbocharger while the fourth is mounted directly on the car’s combustion engine. 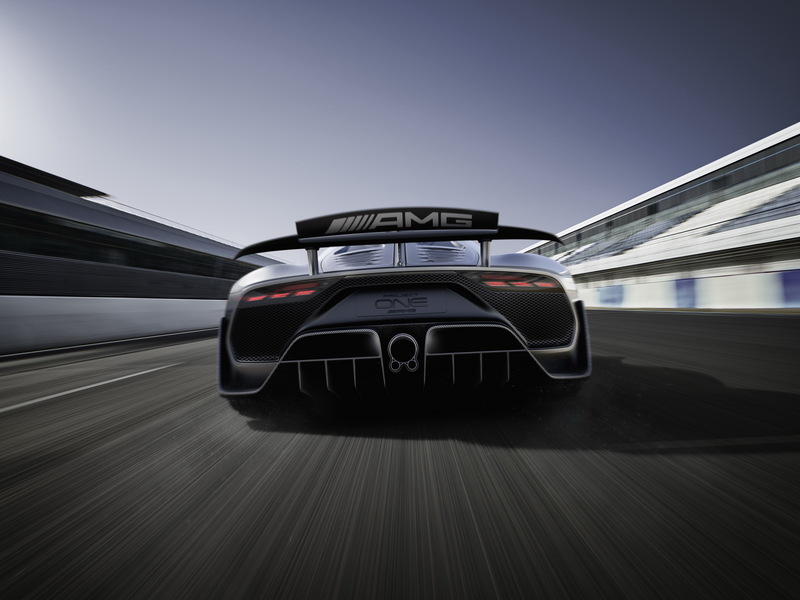 The two front motors can produce 160 hp (120 kW), while the electric motors mounted on the turbocharger and the engine. 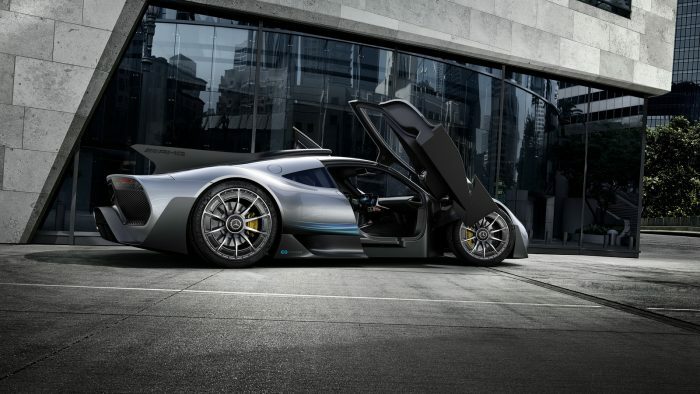 respectively, produces 120 hp (90 kW), placing the car’s total power output to “beyond 1,000 hp”. 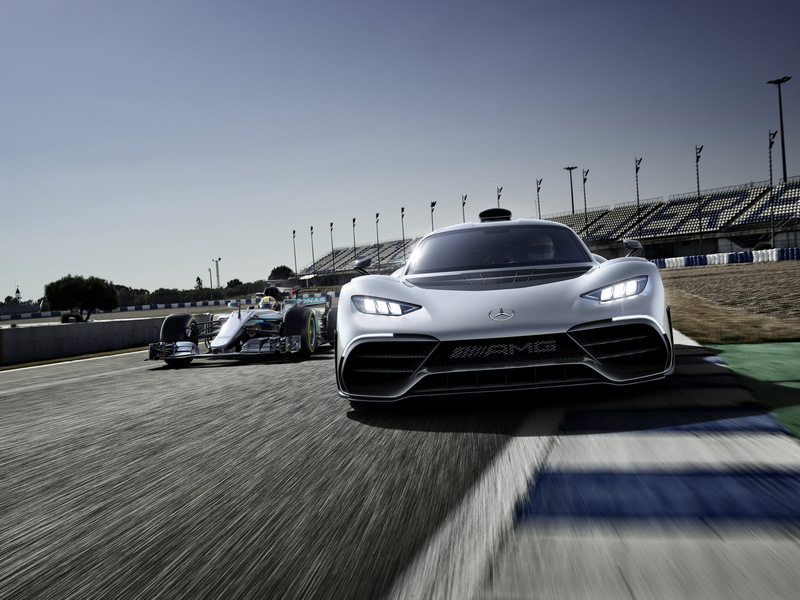 Mercedes-AMG has also claimed that the turbo lag on the Project One is not only eliminated in this setup but the response times should now be shorter than those cars powered by a naturally-aspirated V8. 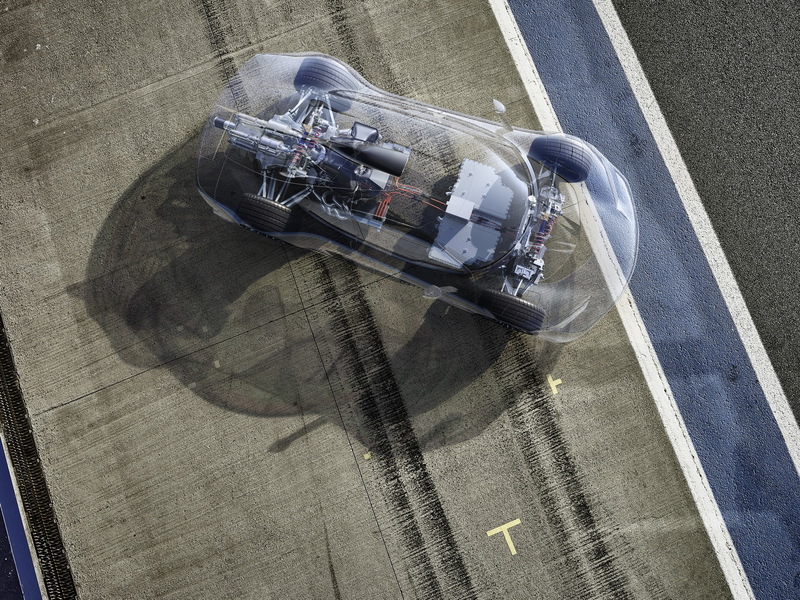 This setup was made possible not only because of the torque-fill supplied by its four electric motors but also because of the electrically-assisted turbocharger which happens to feature exhaust gas and compressor turbines that are separated from each other and are mounted at an optimum position to the exhaust side and intake side of the V6 unit, respectively. These two are then connected to one another by a shaft powered by the 90 kW electric motor. 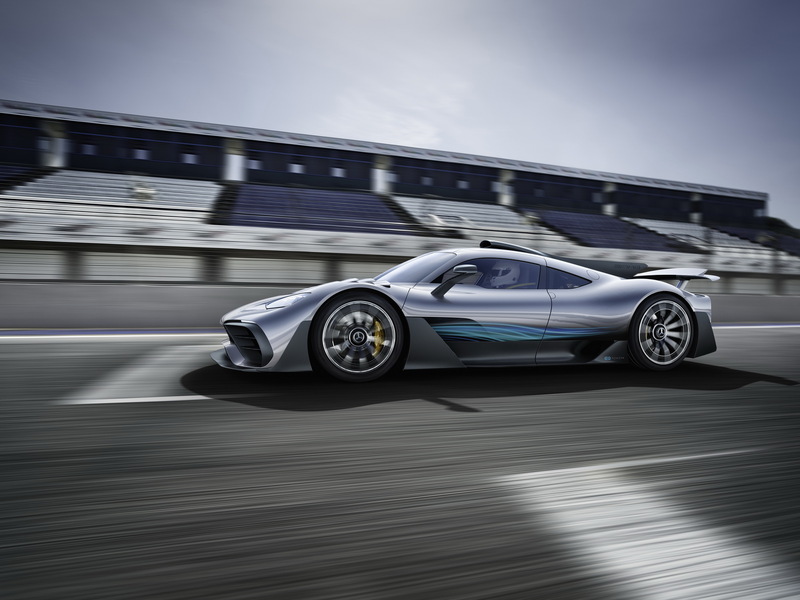 Simply put, the Mercedes-AMG Project One is not just a car that comes with a normal boosted hybrid powertrain. There is a lot more to it, just so you know. 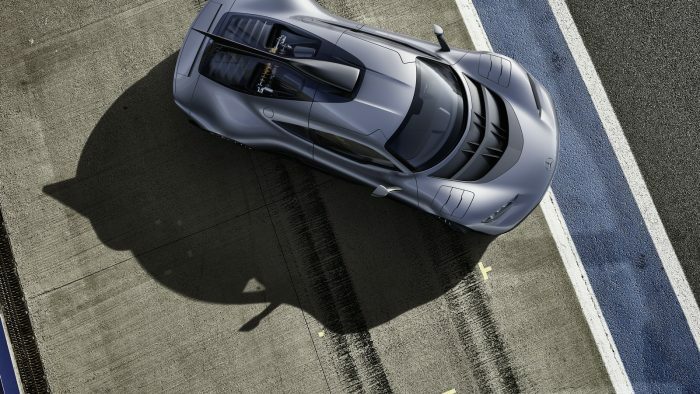 This new hypercar features next level of engineering that’s been seen for the first time in a road legal car. 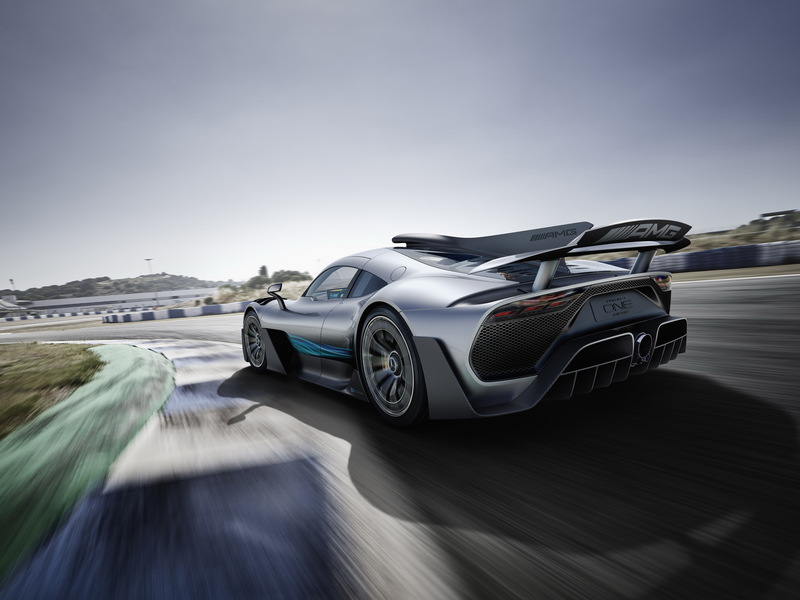 The company has claimed that the Project One is very much capable of reaching speeds of over 217 mph (350 kph) flat out and can accelerate from 0 to 124 mph in less than six seconds! 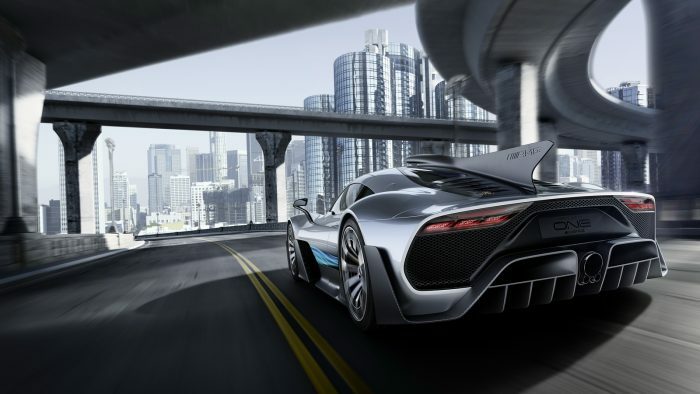 We also managed to get a lot of info about this awesome hypercar which includes a 15.5-mile all-electric range, a drive system that makes use 800 volts instead of the 400 volts that we’re normally accustomed to, a variable all-wheel drive system with torque vectoring and a large lithium-ion battery pack that uses the same cells, arrangement and cell cooling system with which are all direct lift from the Mercedes-AMG F1 car. 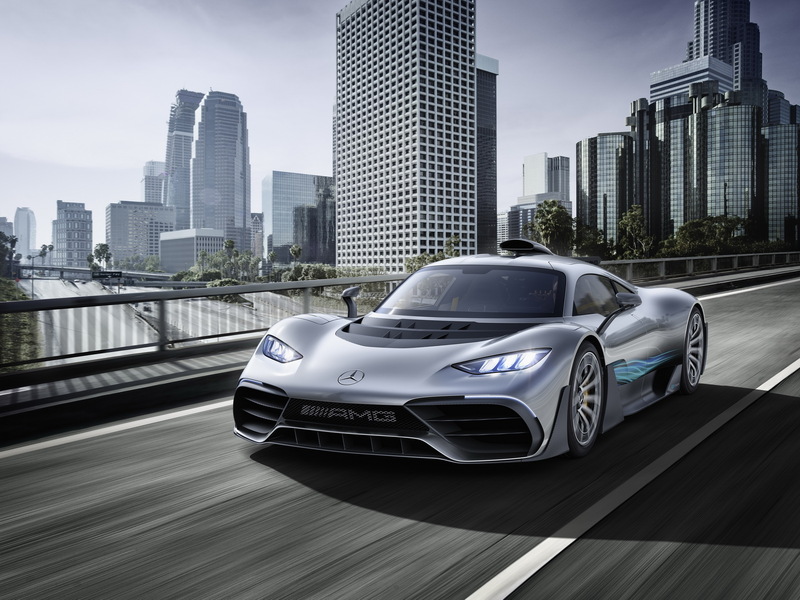 Mercedes-AMG also said that in normal driving conditions, the system is able to recover up to 80 percent of the energy needed which is then sent back to the battery. 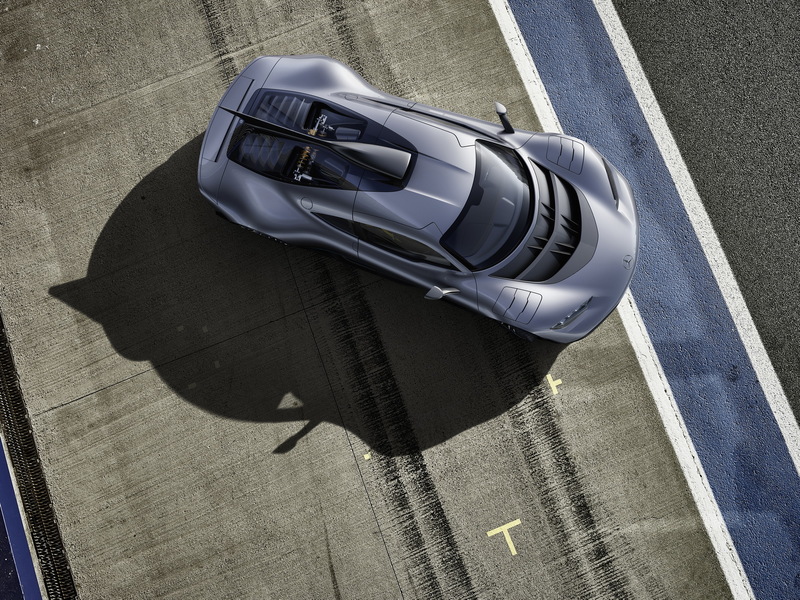 All the power is then transmitted to the rear wheels through an all-new automated eight-speed manual transmission that’s been developed specifically for this hypercar. 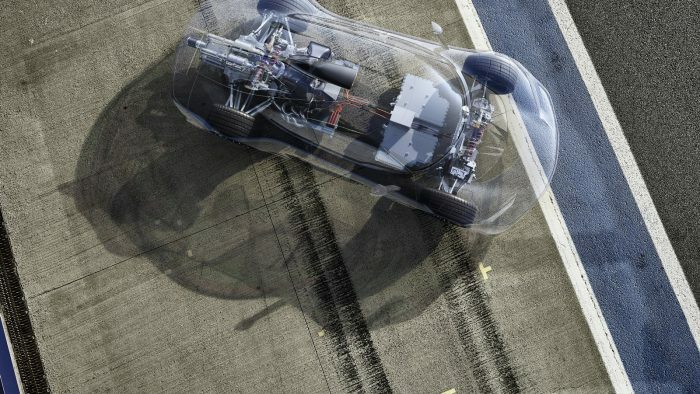 Power is transmitted to the rear wheels via an all-new automated eight-speed manual transmission developed specifically for the Project One. 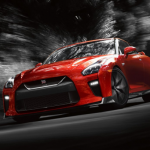 The gearbox, which offers both auto and manual modes, is activated hydraulically. 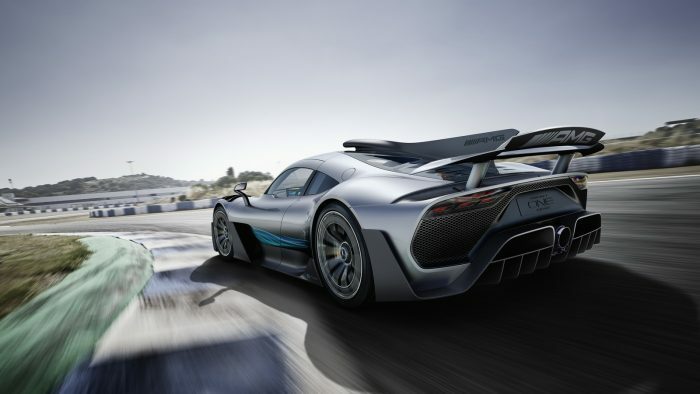 The body of the car is made from a high-strength carbon-fiber monocoque with the integrated engine and transmission also having load-bearing functions, as both completely support the rear suspension. 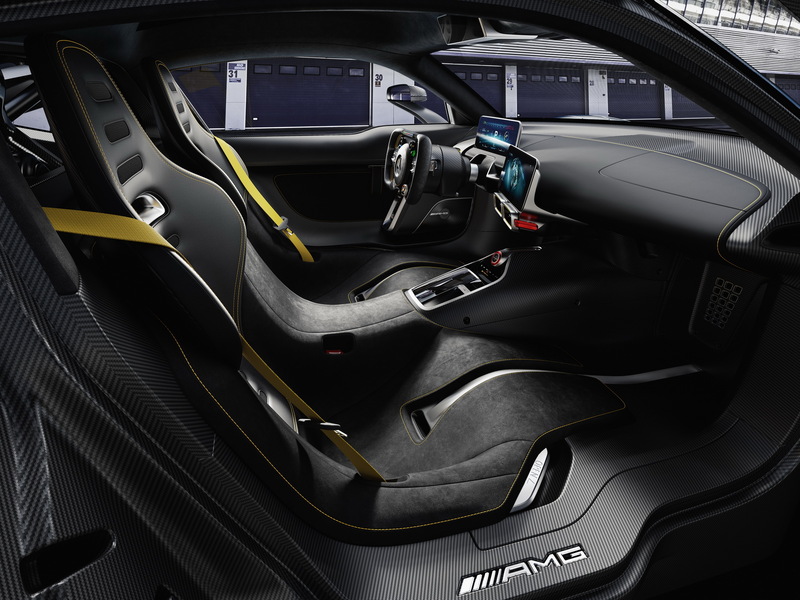 Sitting inside the car is a pair of 10-inch high-definition displays. You can also find a steering wheel with the flattened upper and lower sections which hosts the controls for driving modes and suspension setup, the LED shift display and an airbag. Air-conditioning, power windows, and rear-view camera (since there is no back window inside) are also available. 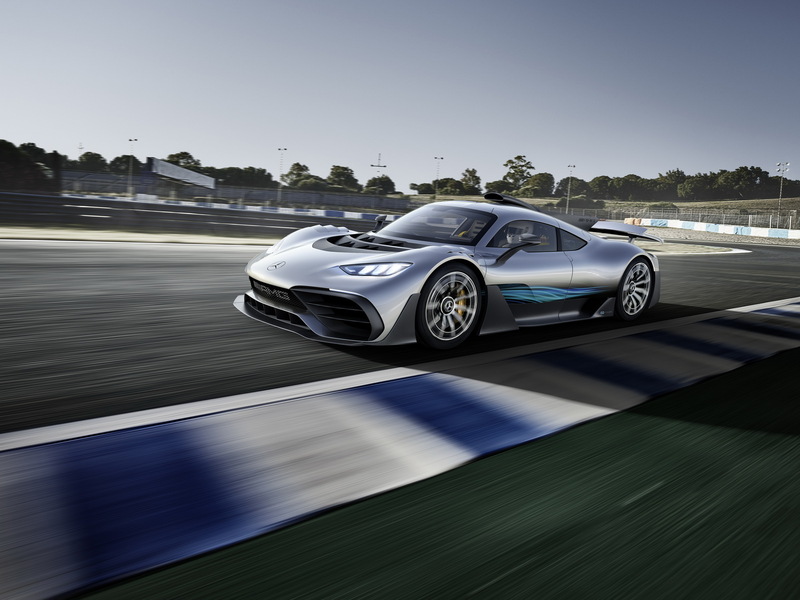 Mercedes-AMG has said that they will only make 275 units of the Project One with left-hand drive configuration. 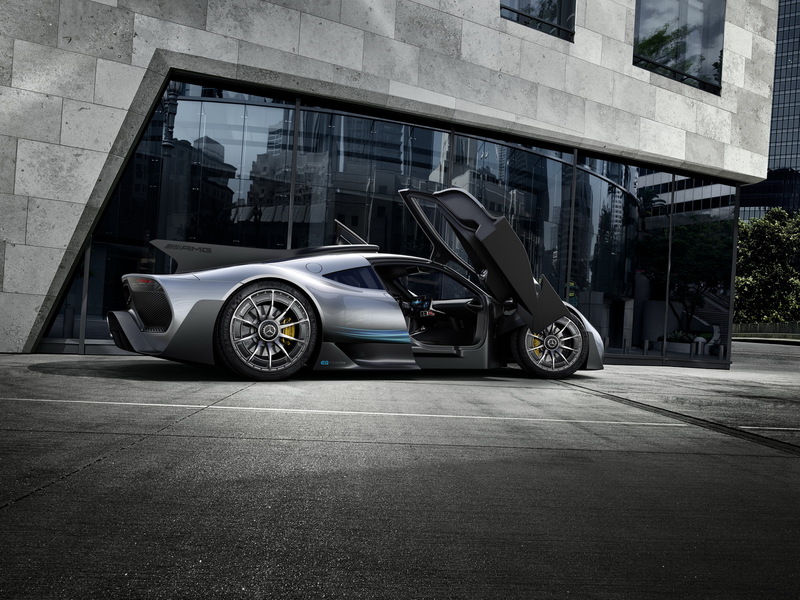 Each unit though will come with a very hefty price tag of 2.27 million euros or $2.7 million to be exact. 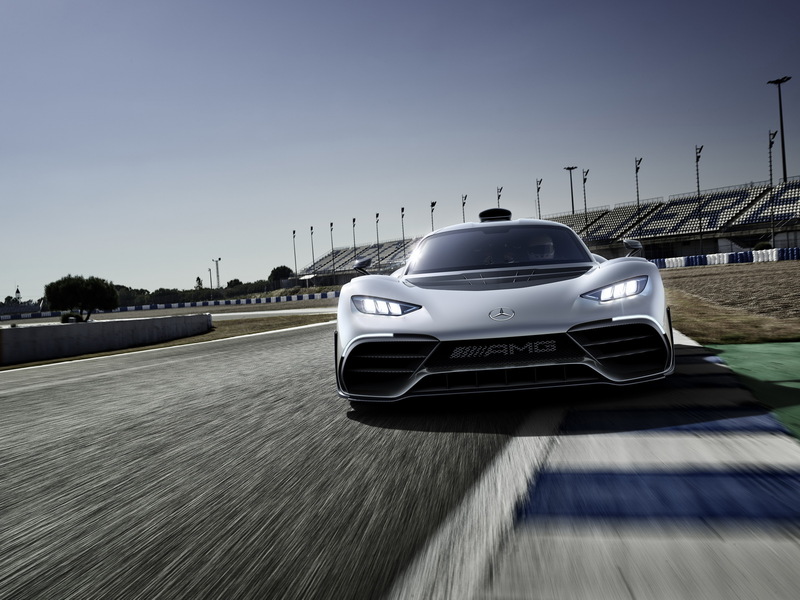 As of the moment, all 275 units are already sold out but don’t expect for any Project One to be seen very soon on public roads as the company still needs 18 months before they can deliver the first orders for the Mercedes-AMG Project One.